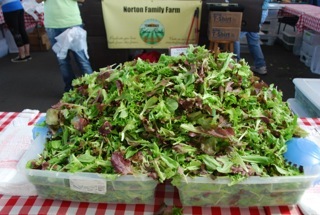 Memorial Weekend at the Market! Wow, just Wow! 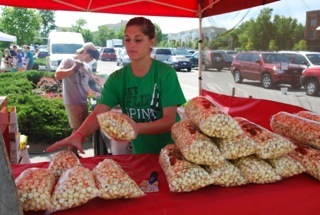 WOW…that pretty much sums up this past Saturday at the Franklin Farmers Market. 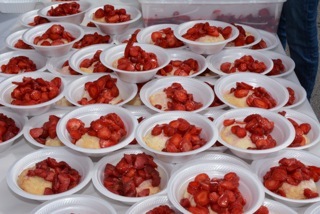 The weather was perfect, the crowds were huge and the food was incredibly fresh and delicious. Almost everybody sold out! 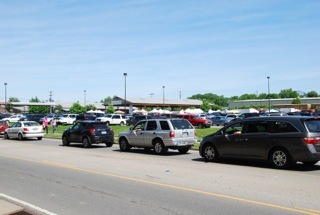 Getting into market was a bit of a challenge though and even with one of Franklin’s finest directing traffic, cars were still backed up over the railroad tracks on Liberty Pike. No wonder why the crowds were so big. 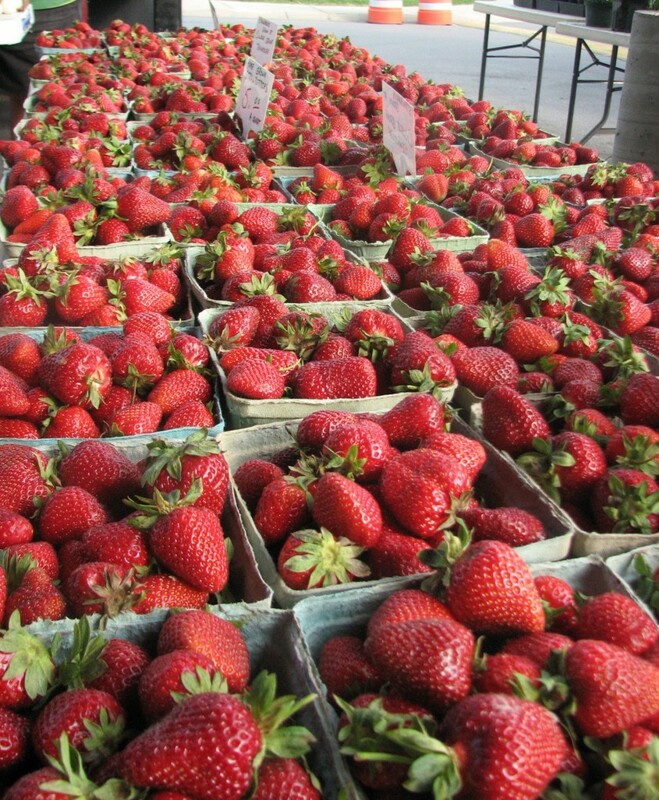 There were lots of goodies at the market, including a good supply of Tennessee strawberries, asparagus and tender cuts of steaks for the Memorial Day grill-out. 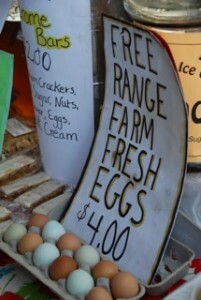 And as our farmers keep growing, so will the demand to buy delicious fresh food at the market. So here’s a tip on getting into the market faster: Use a different entrance. 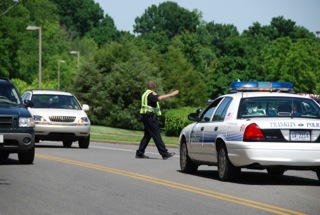 Use the one closer to the front of The Factory complex, near the Liberty Pike/Franklin Road traffic light. Or better yet, use the entrance off Franklin Road that’s located on the far side of The Factory. Just look for the market’s sign at the entrance, then use the parking at the side of the building. 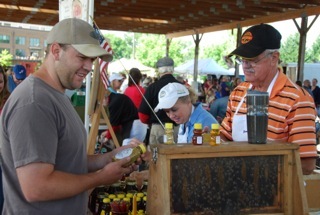 Thank you to all our Tennessee Farmers on a wonderful day! 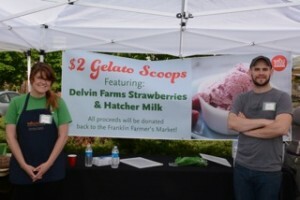 This entry was posted in Market Saturday News and tagged asparagus, Franklin Farmers Market, Franklin Road, Liberty Pike, Memorial Day grill-out, steaks strawberries, Tennessee Farmers, Tennessee Strawberries, The Factory on May 28, 2013 . It’s Berry-licious day of fun! 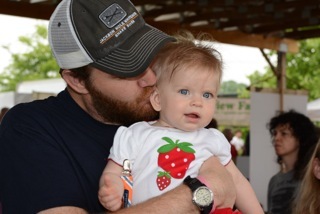 It’s a sweet way to kick-off summer, with lots of delicious homemade strawberry shortcakes to eat, fun games and face-painting for the kids, the popular Barnyard Petting Zoo, local arts & crafts and great music too! Bring out the family and have a “berry” good time…. It’s the Franklin Farmers Market Strawberry Festival, Saturday May 18th, 8am- 1pm. Presented by Whole Foods Market. This entry was posted in Market Festivals, Market Saturday News and tagged Barnyard Petting Zoo, face-painting, Franklin Farmers Market Strawberry Festival, kids, local arts & crafts, music, strawberry shortcake, Whole Foods Market on May 1, 2013 . 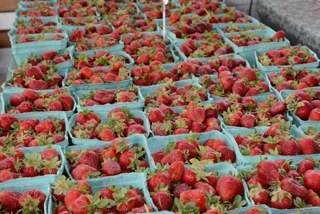 We thought it would never get here, but it’s finally made it… Summer at the Franklin Farmers Market! Okay, it’s really not summer yet by the calendar. 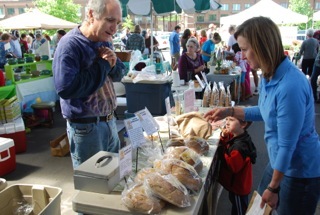 But it is by the farmer market’s datebook, so we’re starting off the summer season on Saturday May 4th. 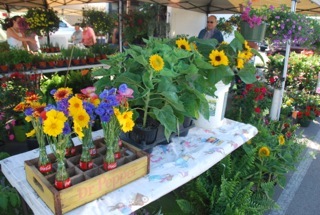 Market hours will go back to the summer schedule of 8am – 1pm every Saturday. 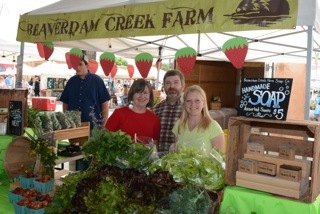 This entry was posted in Market Saturday News and tagged farmer, farmer market's, Franklin Farmers Market on May 1, 2013 . New Franklin Farmers Market Website Launched! We needed more elbow room. So we’ve moved out of our old website and into a new one. What do you think about it? We’ve still got a few things to take care, like all the stories on the farmers and artisans. And we plan to add a lot more photos too. But it’s a nice, clean website that’s easy to navigate and it has room to grow. 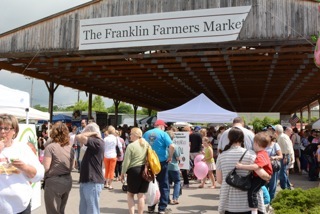 Let us know what you think about the new Franklin Farmers Market website. Shoot us an email and tell us what stories and info you’d like to see on the market website! This entry was posted in Market Saturday News and tagged artisans, farmers, Franklin Farmers Market website on May 1, 2013 .